Pazazz is an apple variety like no other. It’s a descendent of the beloved Honeycrisp but has a unique look and taste all its own. With every bite you’ll enjoy a burst of sweet yet tart flavor – plus Pazazz’s famous crunch. Whether you’re eating a Pazazz as a fresh snack or trying one of our special recipes, “Wow Right Now” is just a bite away. 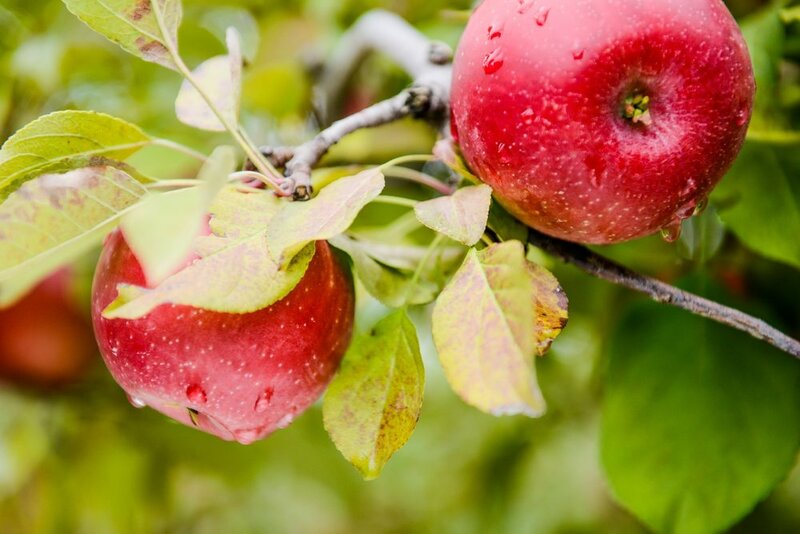 Pazazz started life as one of many new apple varieties in Honeybear Brands’ international varietal development program. Like all Honeybear varieties it underwent rigorous testing in both hemispheres to ensure consistent flavor, color and overall eating experience – the hallmarks of all Honeybear varieties. After a ten-year development phase, Pazazz is now grown by family farms across North America and has emerged as both a retail star and one of the most exciting, must-try varieties in decades. Can't wait to get your hands on some Pazazz? Click the button below to get this amazing apple delivered right to your door! Interested in selling Pazazz in your store? Contact us today to inquire for pricing and availability! Pazazz is perfect every day for a healthy snack or making school lunch a real hit. But it also packs a punch in all kinds of other dishes. 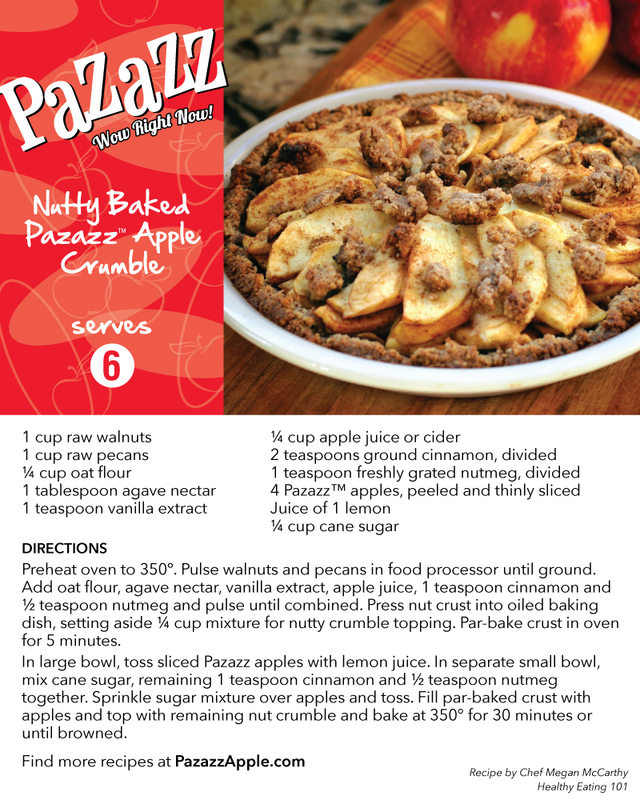 Include Pazazz in crunchy salads for a sweet/tart zing, mix it with your favorite side dish or try it in a warm apple crumble baked to complement any meal. All recipes here were created by Pazazz chef Megan McCarthy.